The Indian Premier League (IPL) match between Chennai Super Kings and Rajasthan Royals stood out for a couple of reasons: One, it went down to the wire. Two, it was dramatic, in every sense of the word. Taking a note of all the incredible moments that took place Thursday night, it was Ben Stokes’ incredible catch that will certainly make it to the list. During the sixth over of Chennai’s batting, Jofra Archer bowled one enticingly short and wide to Kedar Jadhav. No wonder, the batsman fell into trap and hit one towards point, where Ben Stokes was deployed. What followed next, stunned one and all. He stretched full to his left and pulled off a blinder, making it look like one of Iker Casillas’ stunning saves. Another moment that caught many an eye took place towards the fag end of the match. Ravindra Jadeja hit a six off Stokes. And they both hilariously took a tumble. However, scenes got ugly in the last over of the match after umpire signaled a no-ball, only to deny signaling one. 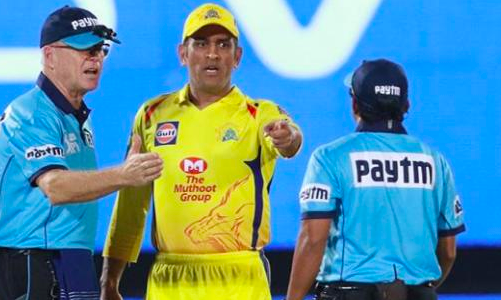 Chennai captain MS Dhoni was left fuming as he stormed into the middle and pointed fingers at the umpire. Controversies apart, Chennai went on to chase Rajasthan’s 152-run target off the last ball.